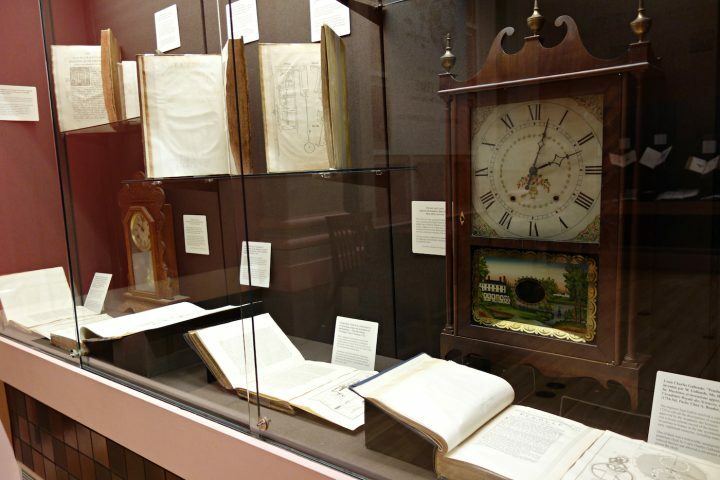 Through 86 volumes that span the 15th century to the present, the Grolier Club visualizes the development of modern timekeeping. 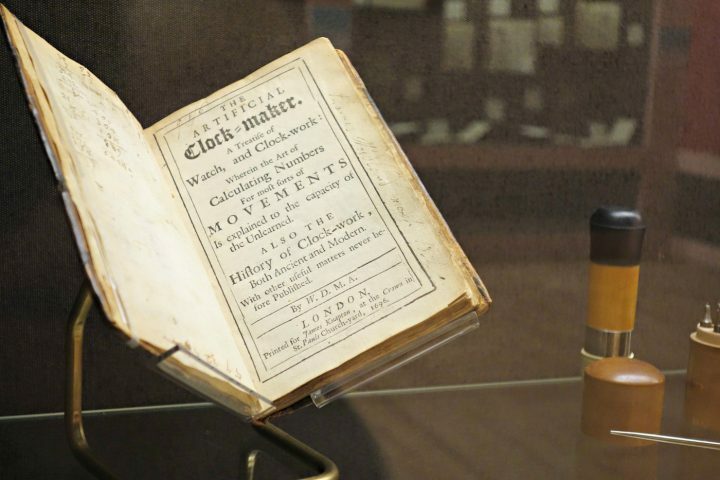 On Time: The Quest for Precision at the Grolier Club in Manhattan explores the development of timekeeping from the 15th century to the present through rare books. 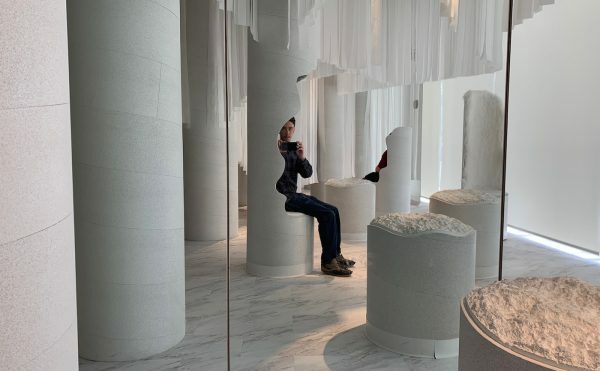 Curated by Bruce Bradley, the display contains 86 volumes that come from the Linda Hall Library of Science, Engineering & Technology, an independent research library in Kansas City. 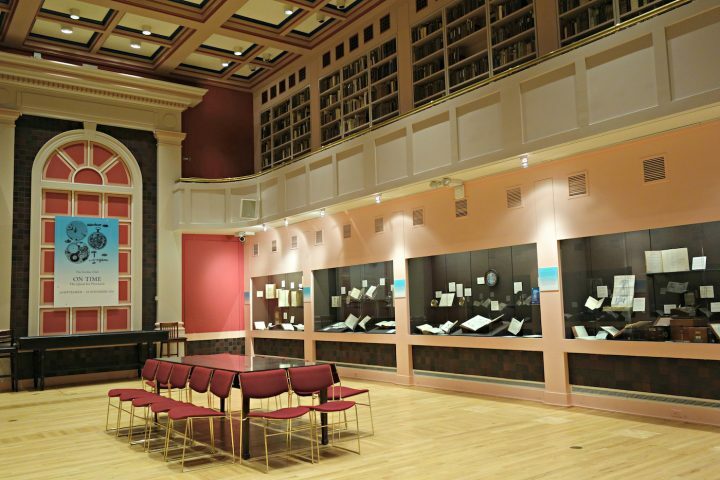 It’s easy to lose time with On Time, installed in the ground floor gallery of the Grolier Club. Each open book offers an intricate design tackling the problem of how to track the passage of the hours. 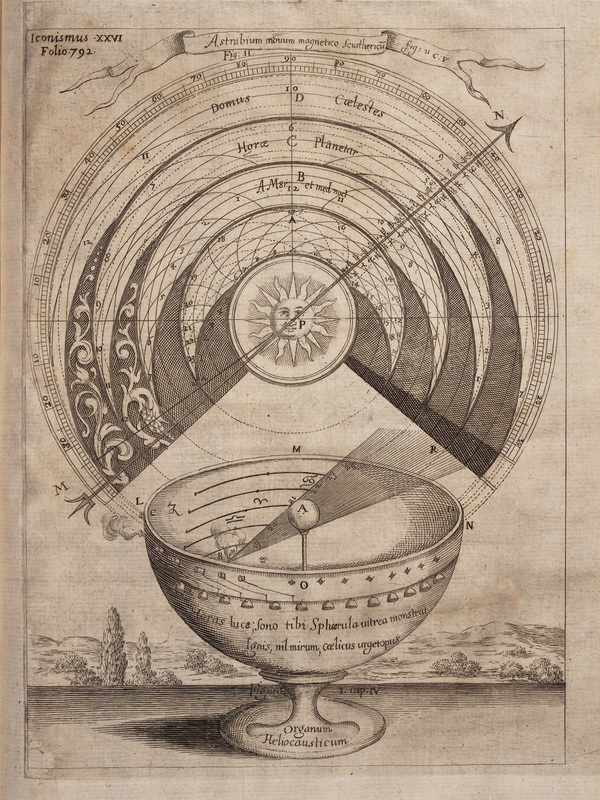 Some volumes are exceptionally beautiful, such as German cartographer Sebastian Münster’s 1533 Horologiographia, the first book devoted to sundials, with woodcuts attributed to Hans Holbein the Younger. 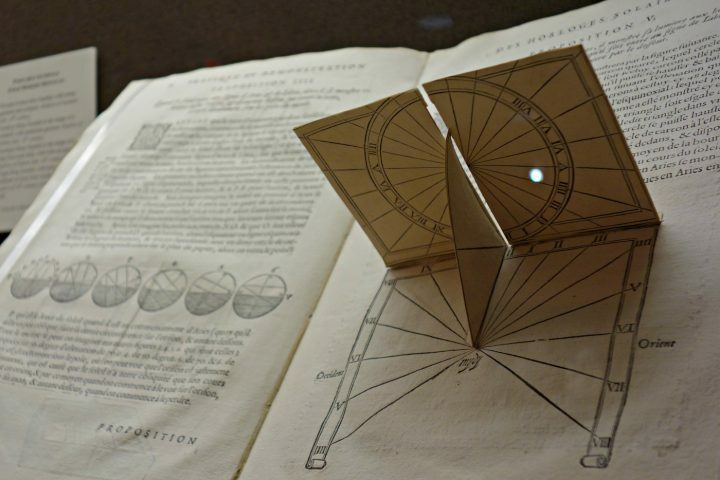 Meanwhile, French engineer Salomon de Caus’s 1624 La pratique et demonstration des horloges solaires has embedded pop-ups to make the workings of its sundials easier to replicate. 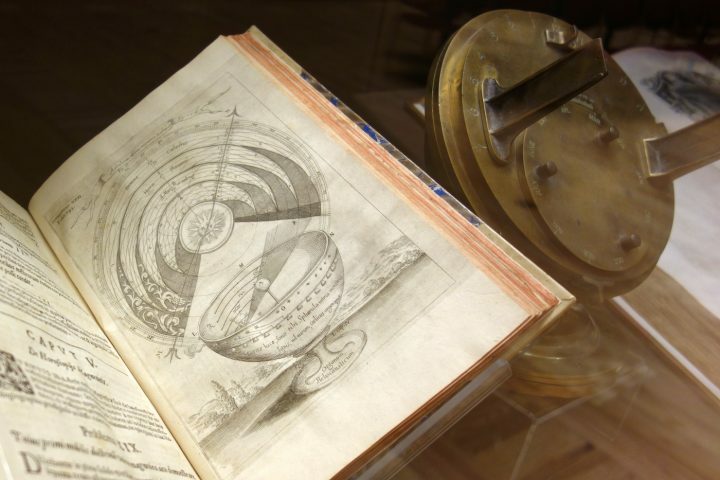 The earliest books, going back to the 15th century, concentrate on sundials; the tomes then progress through water clocks, mechanical inventions, and, arriving in the present, atomic clocks. Many innovations in timekeeping were disseminated through books, particularly since, until the 19th century, all timepieces were handmade. 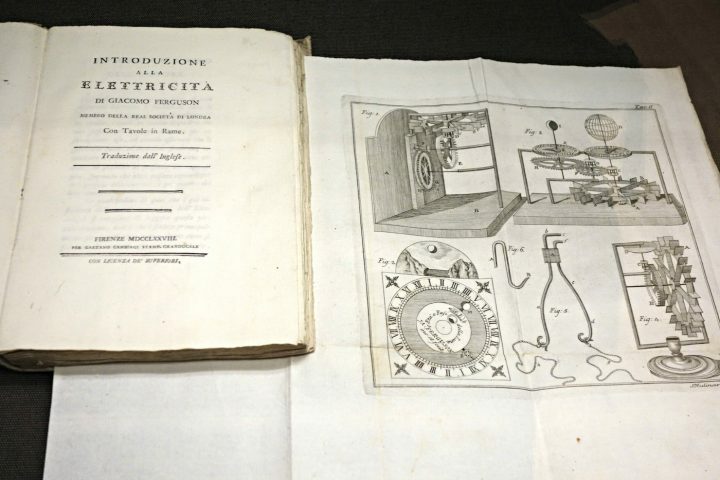 When Dutch mathematician Christiaan Huygens designed the first successful pendulum clock, for instance, he described it in his 1673 book Horologium Oscillatorium. 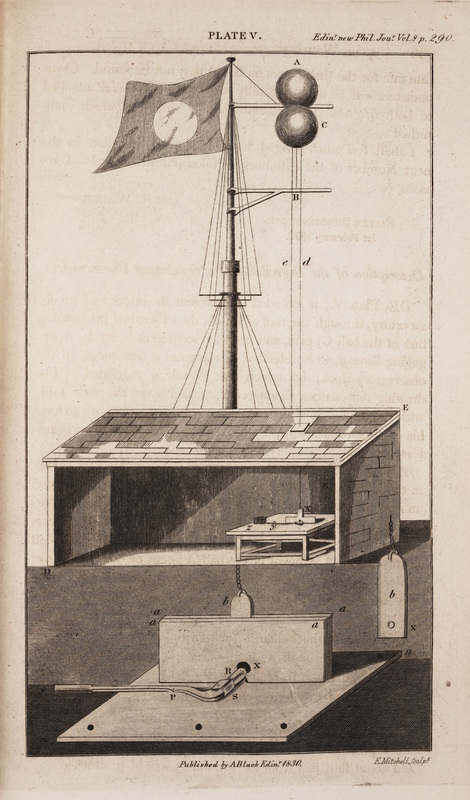 There is an abundance of curious detours along the way, such as English mathematician William Whiston’s consideration of floating cannons in a 1714 pamphlet about synchronizing time at sea. 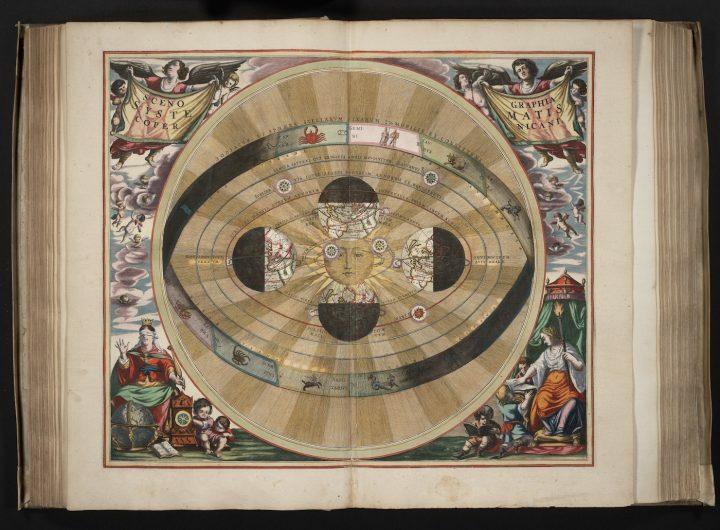 Particularly enchanting are the illustrations of the 17th-century German polymath Athanasius Kircher. 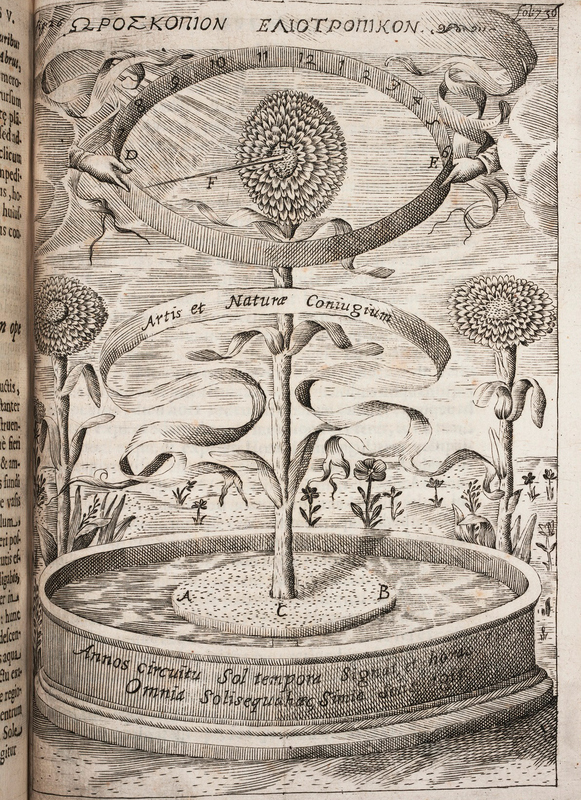 In his 1641 Magnes siue De arte magnetica opus tripartitum, he envisioned a sunflower suspended on a bit of cork floating in water; the direction of the flower was meant to follow the sun, causing it to shift a pointer to the hour. 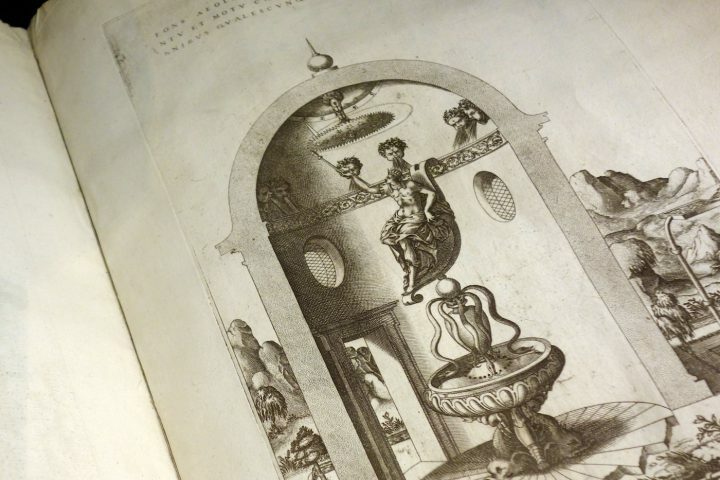 Kircher also proposed a rather exciting sundial in the 1646 Ars magna lucis et vmbrae in decem libros digesta. Shaped like a bowl, it was designed so that the rays of the sun would ignite gunpowder to trigger hammers for hourly bells. On Time mostly concentrates on European publications, although water clocks and other timepiece experiments were certainly being developed elsewhere, such as in medieval Arabic scientific texts. 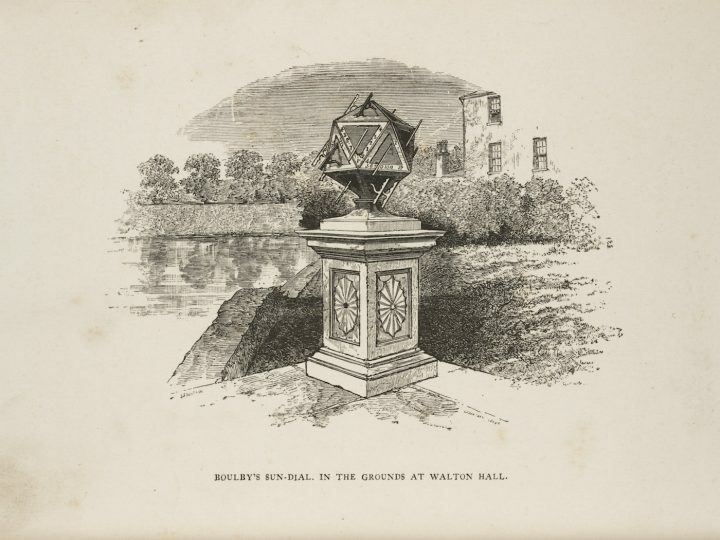 The exhibition demonstrates how, within Europe, the knowledge of building and perfecting timekeeping spread through print. 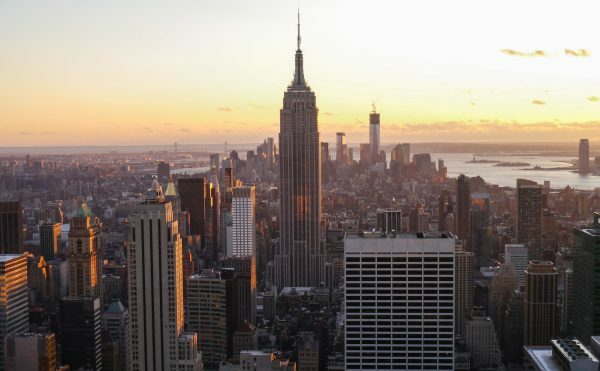 We no longer have to look to a tower, as we might have in the 19th century, to see a ball drop to signal noon, or lose track of the hour when cloudy days interfere with our sundials. 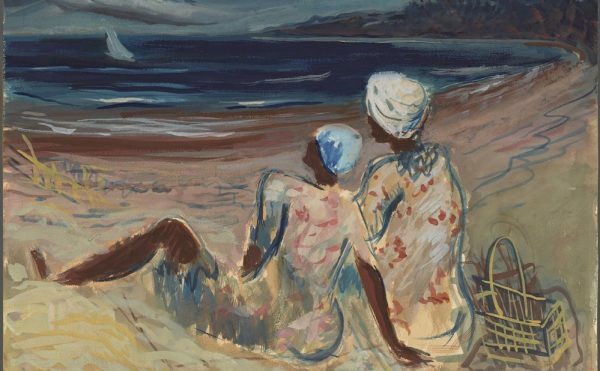 These manuscripts affirm the centuries of shared ideas that give our modern timekeeping devices their precision. 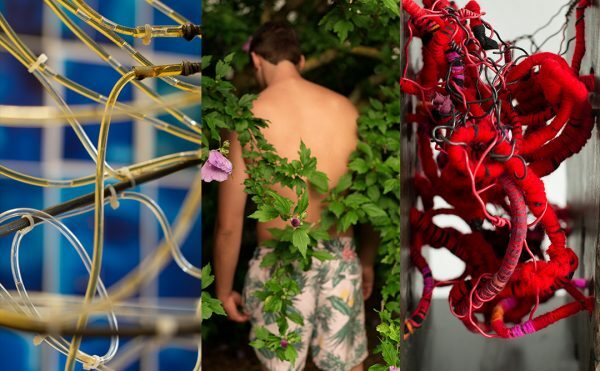 On Time: The Quest for Precision continues at the Grolier Club (47 E 60th Street, Upper East Side, Manhattan) through November 19.